The Hameroff Law Firm in Tucson has never been afraid to call in the best experts to support our cases and to treat our clients. In any personal injury lawsuit arising out of a traumatic brain injury (TBI) or closed head trauma, it can take an expert evaluation to get a true sense of the case, the evidence and what future care will be needed. Some lawyers skimp on experts and the expenditure of resources. Not us. To discuss your rights and legal options for pursuing maximum recovery after a serious brain injury, please contact us at info@hamerlaw.com. The team of accomplished legal professionals at The Hameroff Law Firm offers sound legal advice and dedicated representation to the victims of brain injury and their families. We have a very hands-on approach to helping our clients recover maximum compensation. In many cases, we produce powerful mixed media settlement presentations that tell the story of how a brain injury has impacted not only the injured person, but the entire family as well. Our aggressive and proactive approach often enables us to convince insurance companies to agree to larger settlements. 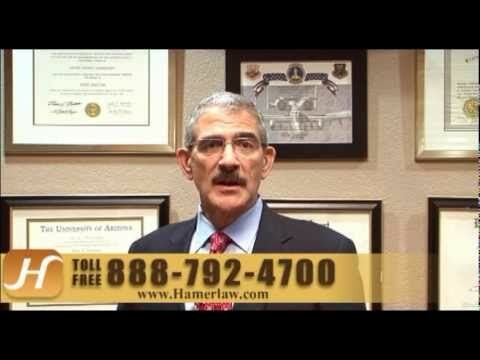 Call The Hameroff Law Firm in Tucson at 520.792.4700 or 1.888.792.4700 today to discuss how our experienced Arizona personal injury lawyer can help you maximize recovery in a brain injury claim or lawsuit. You also can email us at info@hamerlaw.com with any questions or to schedule an appointment.